Sterling silver skinny ring with laser engraved name-metal base only! Have a beautiful polished ring inscribed in your own words. 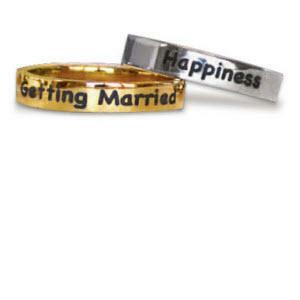 Your favorite word, your favorite sweethearts name, your favorite quote or sayings can be etched onto this rings. This is a great gift for any occasion. Price: $35.00 In stock! - Browse this brandOur products are custom made to your specifications. This product ships up to 3 weeks after your order is placed.